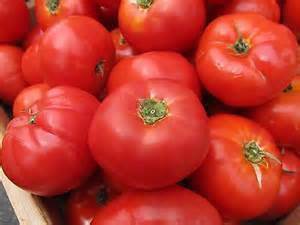 Chappaqua Farmers Market: TOMATOES, TOMATOES & More TOMATOES! Who said tomato? The Chappaqua Farmers' Market did! The Market, open on Saturdays from 8:30 to 1 pm is chockful of absolutely beautiful tomatoes! "They are so flavorful. It’s like they sucked up all the sunshine that’s been doled out so sparingly this summer. Do thunderstorms make them thrive? No matter the reason, buy lots and eat as many as you can while you can," Market organizers explain. Visit Chappaqua Farmers' Market blog here for more farm fresh musings! The Farmers' Market is located at the Chappaqua Train Station, 108 Allen Pl.